WIV Magnificently plan, create, and deliver deliberate content. Content is “something that is to be articulated via some medium, as speech, writing or any of various arts”. The right content will not just augment your operational sales but will also impact your global sales. Content can be delivered via many different media which includes Books, magazines, television, audio CDs, the Internet, and live events, like conferences and stage performances. As content creators, WIV aims for, “The right one to benefit, The well-presented precise content, At the proper place, At the appropriate time, In the required language, On the right device. We create detailed content as we are aware that Google has updated its search algorithm to include content quality as a metric to rank websites. Detailed content has greater potential to impact the target audience. Our human editorial team is highly demanding and they never ramble but get to the point, fast, preserving the quality standards. We offer free reviews of each piece of custom content material and each article is run via Copyscape, an anti-plagiarism checker to ensure novelty. Guaranteed first-class SEO responsive content. WAV connects you to authors who knows their reader, with no understanding of your audience, you are preparing for a failure. To create a truly successful content, it’s important to know your audience. We create content to increase audience rendezvous, we don’t tailor content to fit your marketing objectives. 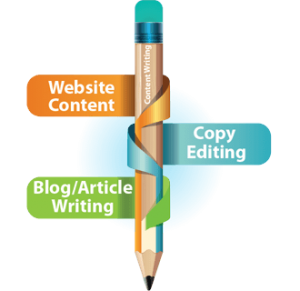 Effortlessly order first-class content for your website with our turnkey qualified writing service. Trusted by over thousand businesses, WIV is one of the largest and most recognized marketplaces for SEO responsive content, connecting businesses with the best freelance authors online. This is how it feels when a content lover has an ease of getting his favorite content at his doorstep.Wondering where can you find such a solution. Look no beyond. WIV provides a dedicated content solution in SEO writing, blog posts, copywriting, article writing, copyediting, press releases, technical writing, white papers, or any other written content, we’re professionals in the space of bringing exclusive, quality content.